Whether you’re opening a new surgery in the next few weeks or are preparing for a private dental venture much further into the future, ensuring that your practice is fully equipped is essential. As experienced suppliers of dental equipment, boasting over 20 years’ experience retrofitting and refurbishing dental surgeries, the Global Dental team is perfectly placed to advise you on exactly what you need for your new surgery. Use this brief breakdown as a checklist to make sure that when your doors open, you’re 100% ready for whatever your patients might need. Treatment centres are at the core of any dental surgery. 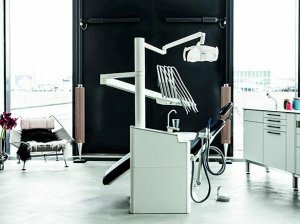 Featuring an easily adjustable and ergonomically-designed seat for patient use, as well as a sink and space for crucial dental instruments, the treatment centre is essential. It goes without saying that this piece of dental equipment should always be the starting point of your surgery and whilst most treatment centres are similar, they do differ slightly. Some treatment centres feature additional monitors or in-built operating lights, whilst others are simpler and more basic in their approach. The right treatment centre for your surgery will vary depending on what treatments you will be offering, the space you have available, and your personal tastes. Regardless, it’s always best to start with the essentials – get your treatment centre selected and organised. Whether it’s due to budget constraints or simply a design choice, the treatment centre that you have selected may not feature an in-built light. In this situation, it’s essential that you obtain an operating light for accurate and easy patient treatment. This should be a priority within your budgeting procedure as effective lighting is the only way to provide exceptional dental health treatment. Next on the list of essential dental equipment is the suction pump. Suction pumps are an absolute necessity for day-to-day surgery operation and are utilised in standard dental check-ups as well as more intricate treatments and surgeries. If you already have a central suction pump solution, then ensuring that you have the right apparatus to utilise it in your surgery should be a top priority, though standalone solutions are also readily available. As with the majority of our dental equipment, Global Dental’s range of suction pumps come complete with guarantees of varying lengths. Through this, our clients can be sure that despite the regular use of their suction pump, if its lifespan is cut short it will be replaced quickly and efficiently; a necessity for a busy dental surgery. Whilst downplayed in its importance, the dentist stool is actually a fundamental part of the surgery environment. Dentists spend many hours a day sitting on these stools, often requiring absolute comfort to be precise and accurate in their treatments. 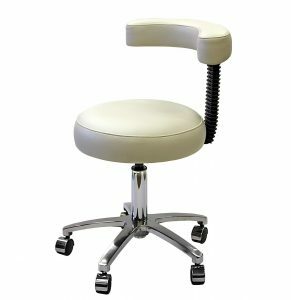 To this end, selecting an ergonomically-designed, durable and comfortable dental stool is an important step in creating the perfect surgery workspace. Never discount the impact of this essential piece of dental equipment. This is the broadest field that you will need to consider but it is equally essential when creating the perfect surgery. The dental instruments you need will generally stay the same from surgery to surgery, with the standard tools like mouth mirrors, probes, burnishers and excavators all being fundamental for the practice of dentistry. Beyond the basic tools, there are other pieces of small dental equipment that you will need to keep in mind, such as curing lights, cameras and syringes. Similarly, motorised handpieces and turbines should always feature as part of the basic dental surgery set up. If you are unsure about which smaller pieces of dental equipment you will need, work through each of the treatments you intend to offer and create a definitive list of what you will need to complete each one. This will reveal exactly what equipment you are going to need. Whilst not always necessary, scalers have a very specific role in the dental environment and they cannot be replaced effectively. This makes them absolutely invaluable within the dental surgery and whilst you may not use your scaler regularly, you will value it the moment that an appropriate situation occurs. Scalers can be fitted to the delivery unit on your treatment centre or used as a standalone unit. When deciding which one to go for, bear in mind the number of outlets on your delivery unit, whether you have worktop space for a standalone unit, and how often you use a scaler. Scaling machines drastically vary in pricing based on specification, budget, brand and quality, so whatever your projected cost, you should be able to find a scaler to suit your needs. Whilst amalgam separators are a relatively small feature of the dental surgery environment, they are still a fundamental aspect of any effective practice. Amalgam separators are compulsory when working with dental amalgam, and for more on the topic, we have discussed the question of amalgam separators on dirty sinks in greater detail here. Do your research before making a separator selection but avoid treating any patients with amalgam until you have a solution in place. The x-ray machine is an invaluable tool for any dentist, helping to highlight hidden cavities, interdental decay and threats to patient dental health. As with all dental equipment, ensuring that you or your staff are comfortable with using an x-ray machine is an essential step that must be made before equipping your surgery with one. No matter your dental surgery’s future plans, having an x-ray machine opens the door for significantly more effective treatment which will only benefit your venture. Finally, we have decontamination equipment. 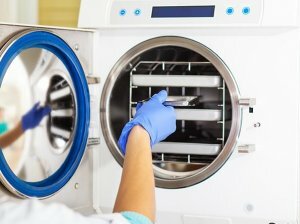 Safety and hygiene are absolutely paramount when you are dealing with patient health and wellbeing, which is why effective decontamination and disinfectant equipment is so important. If your surgery is just an addition to your already established dental practice then this should be less of a concern as you will already have decontamination machinery available, however, if you are opening afresh, treat this as a number one concern. Using this quick guide, you should be able to make sure that your dental surgery is fully equipped and ready to treat patients effectively. At Global Dental, we offer a host of dental services for dental surgery design through to emergency dental equipment repair. Whatever your needs, we will be able to help, so whatever stage your dental venture is at, please don’t hesitate to get in touch.